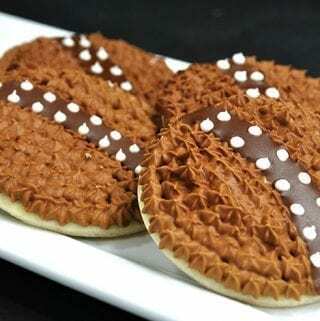 The cutest Wookie Cookie you've ever seen! 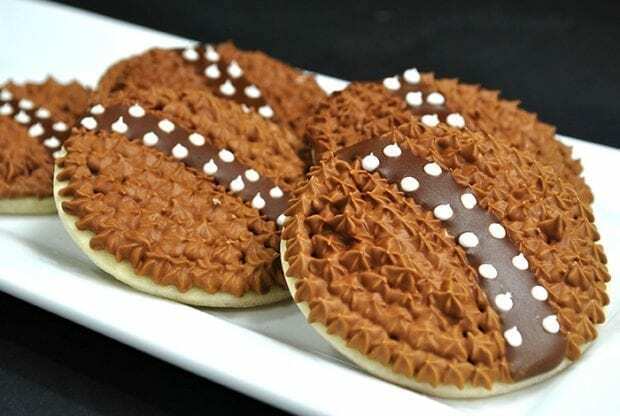 These sugar cookies are decorated to look like Chewbacca from Star Wars. 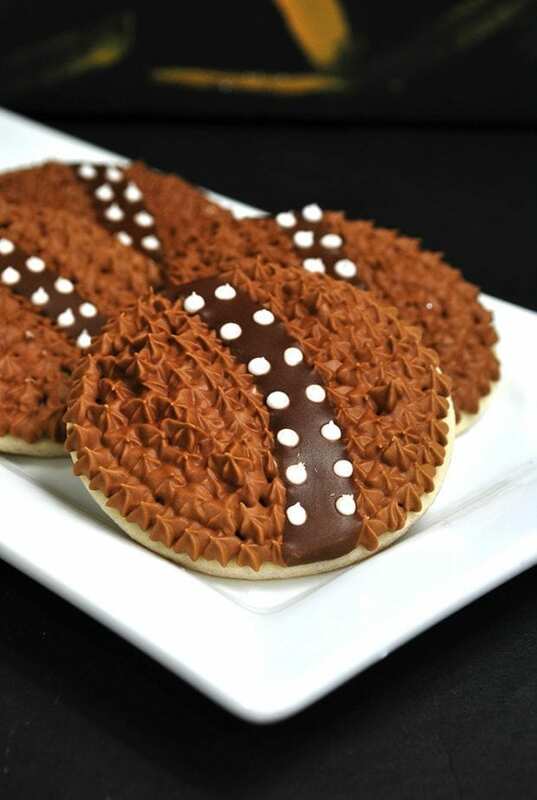 Chewbacca Cookies are the perfect treat for any Star Wars gathering. Probably the oldest character in Star Wars, Chewbacca is the Wookie we can't get enough of in the Star Wars franchise. We didn't realize just how old Chewbacca was until we got to see him in action in Solo: A Star Wars Story. Solo is available on digital September 14 and Blu-ray™ on September 25. 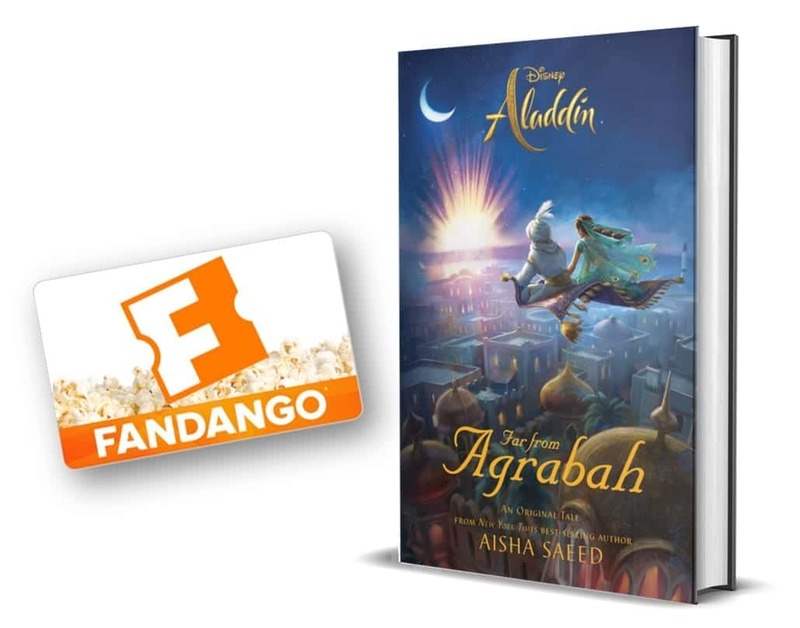 Enter to win a copy at the bottom of this post. Scoundrels, Droids, Creatures, and Cards: Welcome to Fort Ypso – Take an in-depth tour of the rough-and-tumble bar where strangers mix and gamblers risk all in the legendary card game, Sabaac. 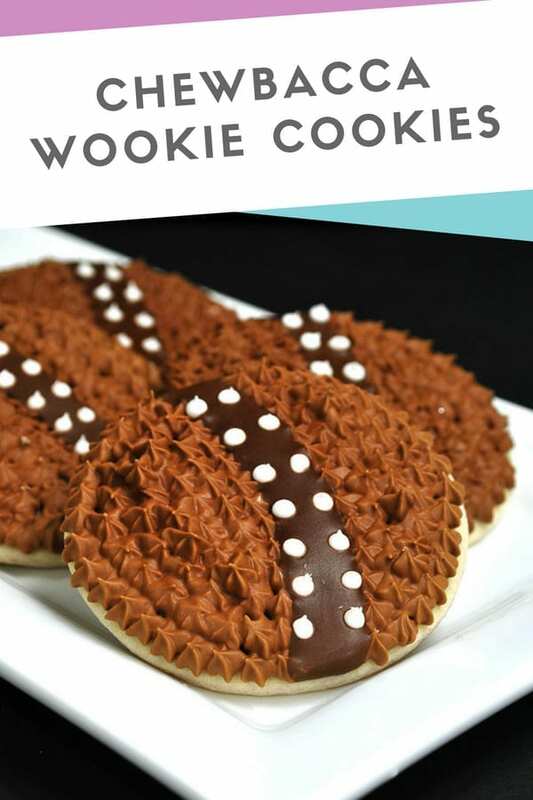 Time to make some Wookie Cookies! After you've made your sugar cookies, it's time to using icing to make them look like Chewbacca and his crossbody ammo holder. You'll use the edible marker to mark the belt outline. The light brown icing will act as the “hair” and the dark brown will be the belt. Finish it up with the white dots. Win Solo: A Star Wars Story! My favorite Star Wars character is BB-8! Yoda is my favorite Star Wars character. I think that he is funny.